One night at the Aston Waikiki Sunset and you'll want to sell your house and take up residence at this condominium resort. Located just a few blocks from Waikiki Beach, you'll be at the heart of Oahu's most popular attractions, including the Honolulu Zoo and Kapiolani Park. The Waikiki Sunset was recently renovated, so amenities are top notch, matching the level of dedicated customer service that the Aston brand is known for. Choose from one- or two-bedroom suites, each equipped with a full kitchen with granite counter tops, new appliances and a 32” LCD HDTV. Earth tones and tropical trimmings submerge you in the island lifestyle as you enjoy comforts, such as furnished lanais and views of either the city, the mountains, Diamond Head or the Pacific Ocean. Relaxation isn't just reserved for your room at Waikiki Sunset; whether you want to practice your stroke in the heated swimming pool, sweat out the toxins in the sauna or get competitive on the tennis court, you're sure to leave feeling like a new person. 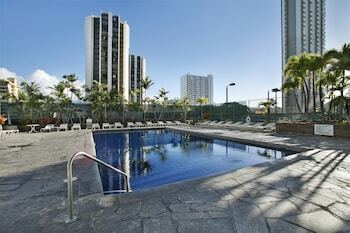 Aston Waikiki Sunset is a 3-star hotel located at 229 Paoakalani Ave, Honolulu, HI 96815, US . Its nightly price usually falls between $138.58 per night and $477.21666666667 per night, excluding tax, depending on room category. 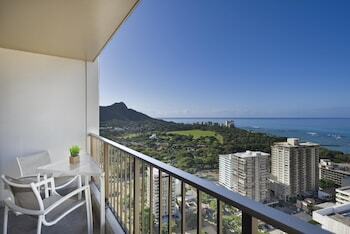 At Aston Waikiki Sunset, AAA members often get 7-13% off the regular rate. For example, on December 12, 2018, a AAA rate of $135.15 per night was offered - a 2.5% discount from the next-lowest rate. Depending on your itinerary, your savings can be more than the annual AAA membership fee itself! Many Room 77 users are able to pay for their entire AAA membership in a single stay. At Aston Waikiki Sunset, seniors often get 5-10% off the regular rate. For example, on December 12, 2018, a senior rate of $135.15 per night was offered - a 2.5% discount from the next-lowest rate. $139 per night found for a Standard Suite, 1 Bedroom room type. For December 12, 2018, a special AAA rate of $135.15 per night was found for the AAA Member Discount - 1 Bedroom Standard Suite-Non-Smoking 2 Twins Or - 1 Queen-Sofa Sleeper room type. For December 12, 2018, a special Senior rate of $135.15 per night was found for the Senior Savings - 1 Bedroom Standard Suite-Non-Smoking 2 Twins Or - 1 Queen-Sofa Sleeper room type. 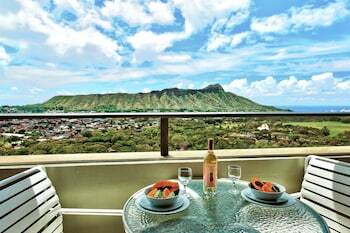 Aston Waikiki Sunset sells rooms through sites like Room 77, Expedia, Hotels.com, GetARoom, and many others. Room 77 searches across dozens of different sites to find the lowest discount rates available. The lowest rate we've seen over the last few weeks was found on Room 77. In 1% of the cases we surveyed, all sites offered the same rate. You can compare real-time rates from all of these sites on Room 77. Room 77 is the only hotel shopping site that includes special discounts like AAA, senior, government, military, and corporate rates.